We check over 450 stores daily and we last saw this product for $74 at Wolf & Badger. 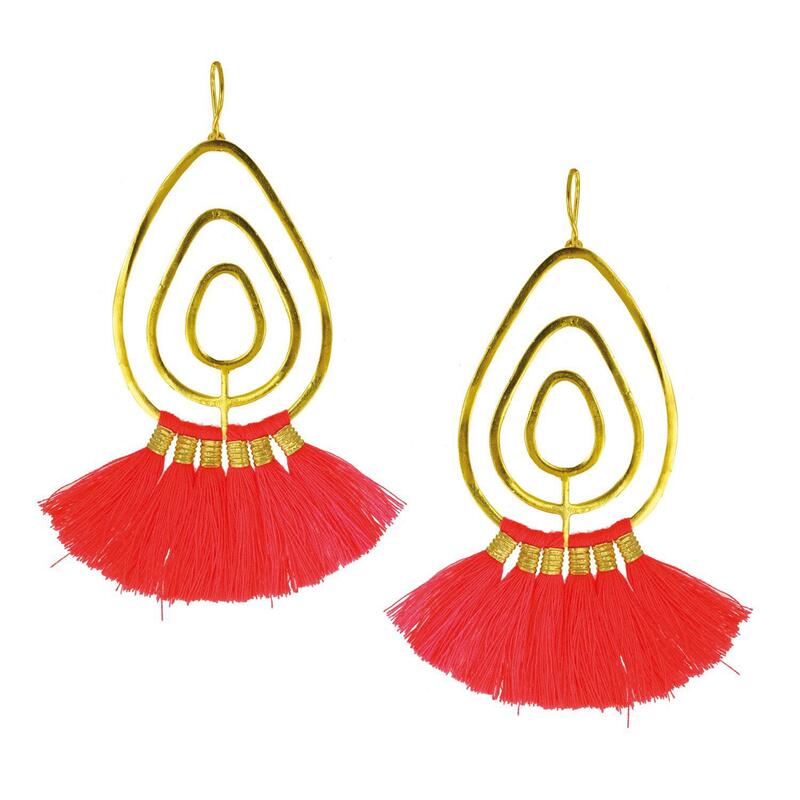 Crafted from 21 ct gold plated brass, this statement pair features soft, vivacious pink tassels and a striking open tear shape deign. Secured with an ear wire hook, these gold drop earrings are perfect for channeling vibes this season. 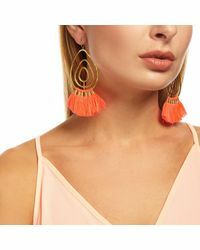 Ottoman Hands Coral Tassel Gold Statement Earrings come packaged in our lovely pouch and are ready to gift. 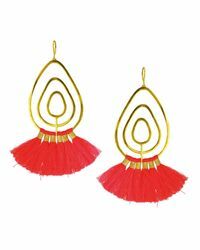 These earrings are handmade from 21 ct gold plated brass. Please take your jewellery off when washing your hands and using any skincare products and cosmetics. Please store your jewellery safely in a pouch provided.